ALAIN ROMANS Pathe 2576 JAZZ 78rpm HOW SOON? Side A: a) How are things in Glocca Morra? / b) I wish I didn't love you so / c) How soon? All our items after 30 days on eBay, will be listed here, a great collection of about 3000 LPs and 78rpm records in all genders, you'll find rarities and south american editions... Enjoy your visit!!! 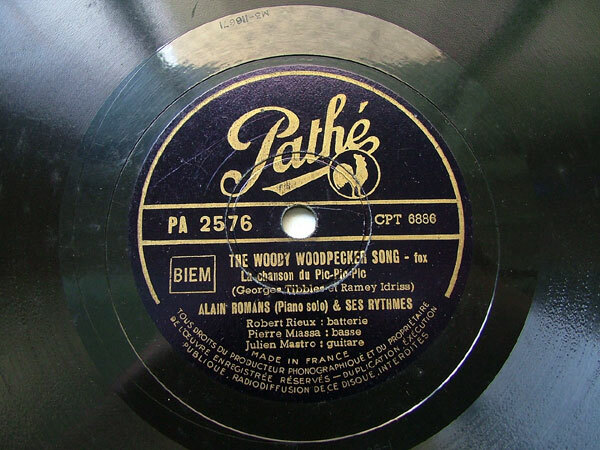 Click the button below to add the ALAIN ROMANS Pathe 2576 JAZZ 78rpm HOW SOON? to your wish list.